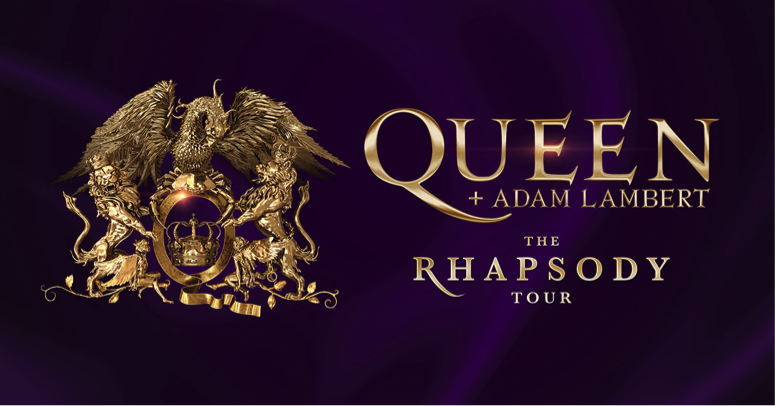 (TRR) – Just as the new biopic Bohemian Rhapsody grossed $500 million worldwide, Queen + Adam Lambert have announced The Rhapsody Tour. The North American trek kicks off in 2019 at Rogers Arena in Vancouver, BC on July 10 and wraps up at the Spectrum Center in Charlotte, NC on August 23. Tickets for The Rhapsody Tour go on sale to the general public starting December 7 via LiveNation.com at 10AM local time. Queen and Adam Lambert Fan Club Presales will run from 10AM local time through 10PM local time on Thursday, December 6. The release of the new Queen film has launched the seminal band back on to the music charts. They hit No. 1 on the Billboard Artist 100 Chart, reminding fans why they loved them and dazzling the previously-uninitiated. In the US, the band scored its highest-charting album in 38 years with the Bohemian Rhapsody soundtrack (Hollywood Records), which surged from No. 25 to No. 3 on the Billboard 200 chart on November 17, reached the top of the Billboard Rock Albums chart and were Spotify’s most streamed artist in the world for the week ending November 22. Rolling Stone magazine called the album “more than just a greatest hits”, praising it as “a fun imaginative way to relive the band’s genius.” In the same week, Queen’s Greatest Hits Vol I, II & III: The Platinum Collection rocketed from No. 194 to No. 9 on the Billboard 200 and they had a jaw-dropping 22 songs charting on the Digital Rock Tracks chart including seven of the Top 10. Tagged adam lambert, brian may, queen, roger taylor.